The old family cottage is chock full of memories. Growing up it was your getaway where you could play and relax with your family – a cornerstone of the summer vacation. But now that you’ve become the new owner, you’ve also discovered that it’s full of responsibility. Whether you have inherited the cottage or are becoming the primary person to in charge of the cottage, there is a lot of work to be done. The family cottage is filled with unfinished projects, old furniture, and in uncertain condition. More and more elements that once seemed quaint or quirky start to reveal themselves as simply outdated. 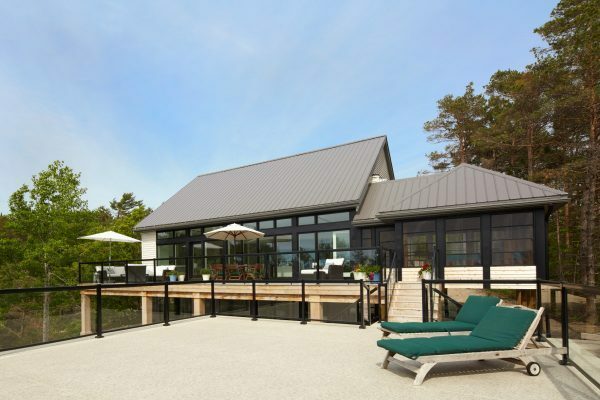 Modernizing the cottage isn’t just about raising the property value. It’s about making it comfortable and structurally sound. Whether you want to sell the cottage, share it with your growing family, or update it to match your lifestyle, a cottage renovation is the perfect place to start. Bringing your old cottage into the present is about making it more comfortable and usable. A lot can be done to this aim from updating amenities, to changing the layout or even a complete cottage rebuild. Creating a design can make the cottage feel like a home for the whole family. Many family cottages were built when temperature control technology was less advanced. As a result, rooms were smaller so they were easier to heat or cool. Today, climate control is more manageable, so you may want to open up the space. Larger more open rooms are better for entertaining and are more visually appealing. 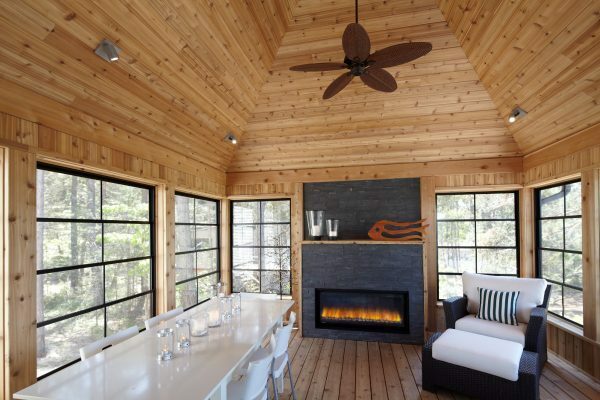 It is a popular choice in modern cottage interior design. A rebuild or a cottage renovation is a good opportunity to winterize or soundproof. Soundproofing and winterizing can be expensive to take on since the walls need to be opened up, and possibly widened. If your renovation plan already includes adjusting the wall, then it is a good time to take on these changes. It will save you from having to open up the walls again in the future. Winterizing increases the value of your cottage even if you do not intend to winter there. If you expect to entertain or share the cottage often, soundproofing can be a good investment. Many old cottages were built with thin interior walls, so you can easily be woken up throughout the night. In our interior design for historic properties article, we addressed the saying, “they don’t make them like they used to.” The idea being that old things were built better and built to last. In reality, this is a misconception. Building standards, technologies, and materials have come a long way. Unaddressed, these can cause significant damage moving forward. As exciting as it is to update the family cottage, most people still want to preserve the atmosphere and feel. This space had a big impact while they were growing up and was the source of memories and happiness that they now want to share with their own families. The goal is to update without losing the cottage’s sense of self or family. For cottage interior design, the team will meet with you to get a sense of the personality that should be imbued into the cottage. As well they will see what existing aspects can be kept or incorporated without hindering the usability of the cottage. In one old cottage renovation we found receipts from the original cottage including references to kids’ toys, games, and old parts of the cottage. These are incorporated into the kitchen island, giving it a sense of the building’s history. Your cottage renovation ideas should be tailored to you and your family’s needs. The goal is to make your cottage more comfortable, usable, and enjoyable.